When permitted access to the appropriate forms of rehabilitation, many severely affected stroke survivors demonstrate a capacity for upper limb functional recovery well in excess of that formerly considered possible. Yet, the mechanisms through which improvements in arm function occur in such profoundly impaired individuals remain poorly understood. 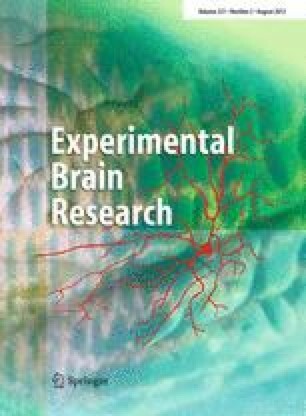 An exploratory study was undertaken to investigate the capacity for brain plasticity and functional adaptation, in response to 12-h training of reaching using the SMART Arm device, in a group of severely affected stroke survivors with chronic upper limb paresis. Twenty-eight stroke survivors were enroled. Eleven healthy adults provided normative data. To assess the integrity of ipsilateral and contralateral corticospinal pathways, transcranial magnetic stimulation was applied to evoke responses in triceps brachii during an elbow extension task. When present, contralateral motor-evoked potentials (MEPs) were delayed and reduced in amplitude compared to those obtained in healthy adults. Following training, contralateral responses were more prevalent and their average onset latency was reduced. There were no reliable changes in ipsilateral MEPs. Stroke survivors who exhibited contralateral MEPs prior to training achieved higher levels of arm function and exhibited greater improvements in performance than those who did not initially exhibit contralateral responses. Furthermore, decreases in the onset latency of contralateral MEPs were positively related to improvements in arm function. Our findings demonstrate that when severely impaired stroke survivors are provided with an appropriate rehabilitation modality, modifications of corticospinal reactivity occur in association with sustained improvements in upper limb function. This study was supported by a University of Queensland Research and Development Grant. We would like to thank research assistants Frida Påfvelsson, Erica Engström, Carmen Ariotti, Tracy Comans, Fiona Pringle, Gail Gillespie and Vanessa Jenkins for their assistance with recruitment of participants, data collection and for the delivery of the intervention.